Last night, Wednesday, October 22nd, the West Vancouver Citizens for Good Government met to endorse their recommendations for School Board and Council. We would like to thank everyone who participated in this process. We cannot stress enough how blessed we are as a community to have so many smart and talented individuals running for public office. 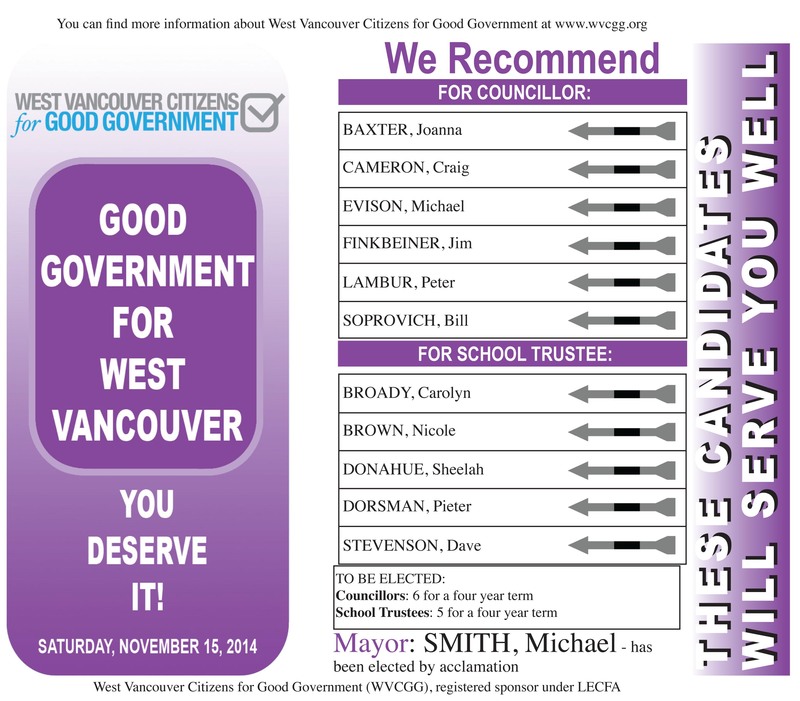 The following is the list of candidates that have been endorsed by the West Vancouver Citizens for Good Government.